The first magicians were those who attained a special knowledge of healing and poisonous herbs; or perhaps the magi were the priestly caste of ancient Persia and the wise men who visited the infant Jesus have been translated using the Graeco-Latin term ‘Magi’. The art of mystifying people is very old indeed. The first conjurers were priests who obtained power over simple minds by performing magical tricks which appeared to have a supernatural origin. Elizabeth I enjoyed watching card tricks and in 1602 paid an Italian magician 200 crowns for performing tricks such as “telling of any card that is thought, or changing one card from another though it be held by any man never so hard under his hand”. Conjuring with playing cards gradually became popular as a form of entertainment. A professional magician today will admit that their tricks are based upon illusion and sleight of hand, or to be more correct: “Magicians also use psychology, misdirection, lateral thinking and down-right skulduggery!” (Thanks to Justin Monehen, Magic Consultant, Marvin’s Magic). 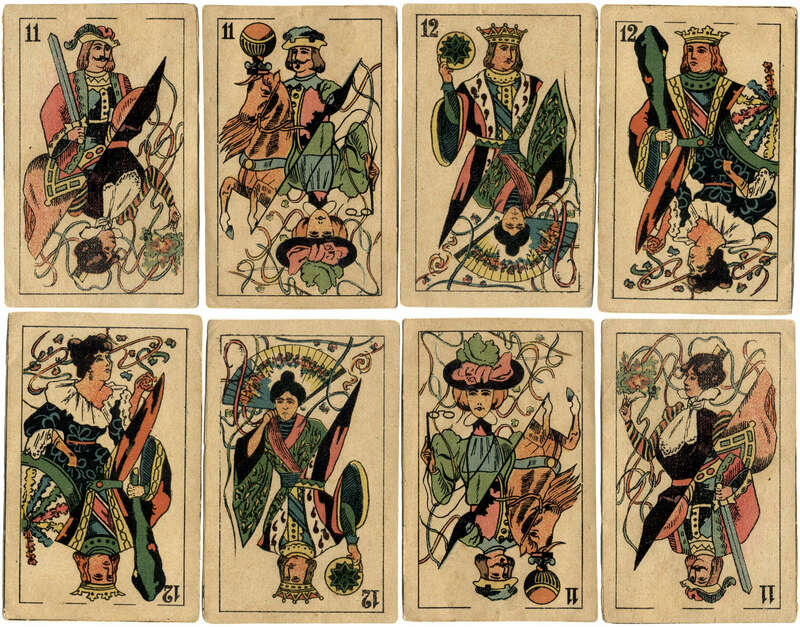 Above: five hand-painted conjuring cards, probably late 18th century. 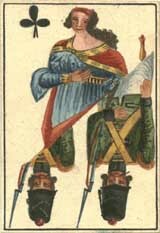 The first card reads "I Jonathan Hocus Pocus the art of conjuring teach.” Conjuring in those days consisted of a variety of simple magic tricks (“To Pass Balls Through Cups”), astonishing feats (“To Cook An Omelet In A Hat”), and macabre pranks (“How to Cut Your Arm Off, Without Hurt or Danger”).
" 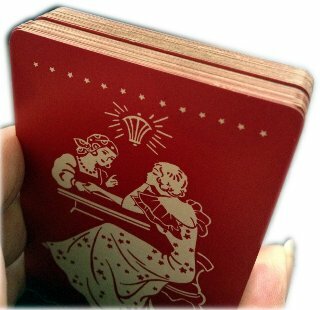 By a mixture of false shuffling and sleight of hand, the cards can be fanned out and made to appear to change from figures to pips. 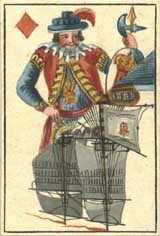 Cards like these were known in Holland, Germany, France, Portugal and England. Left: Special Magic pack for conjurers, made in Portugal, c.1850. 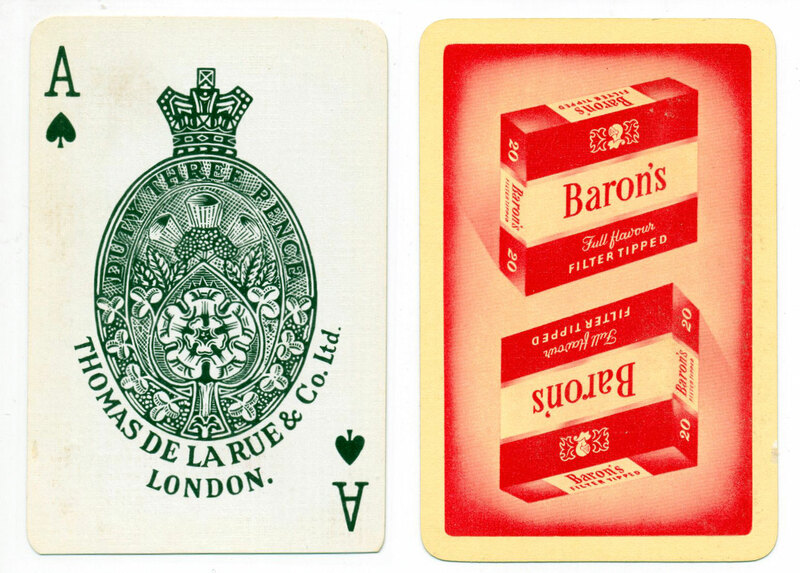 Left: Magician’s playing cards, made by Alf Cooke Limited (Universal Playing Card Co.), Leeds & London, c.1955. 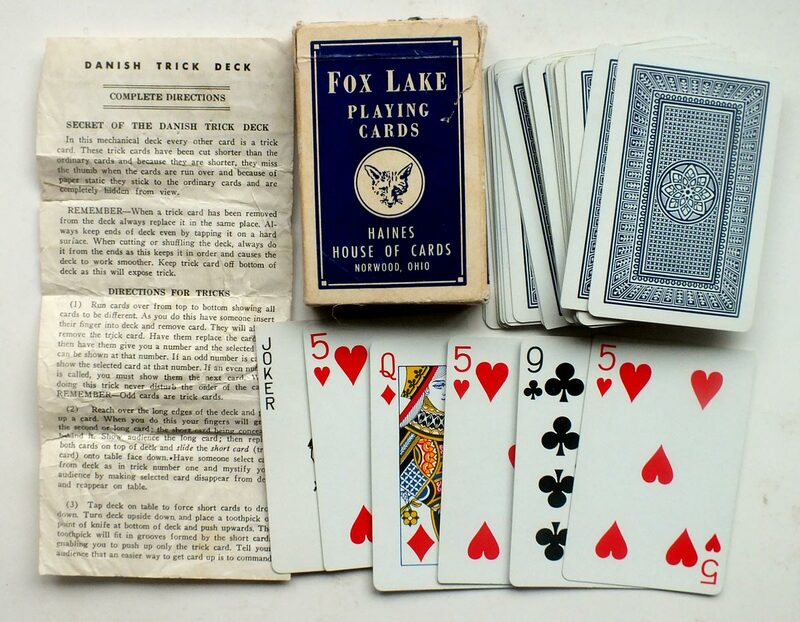 The pack comprises 48 cards, plus 1 joker: 24 cards are normal cards, and 24 cards are identical sevens of spades, slightly shorter in height, so that various card tricks can be performed by clever shuffling and flicking of the card corners. Reverse: blue pattern. 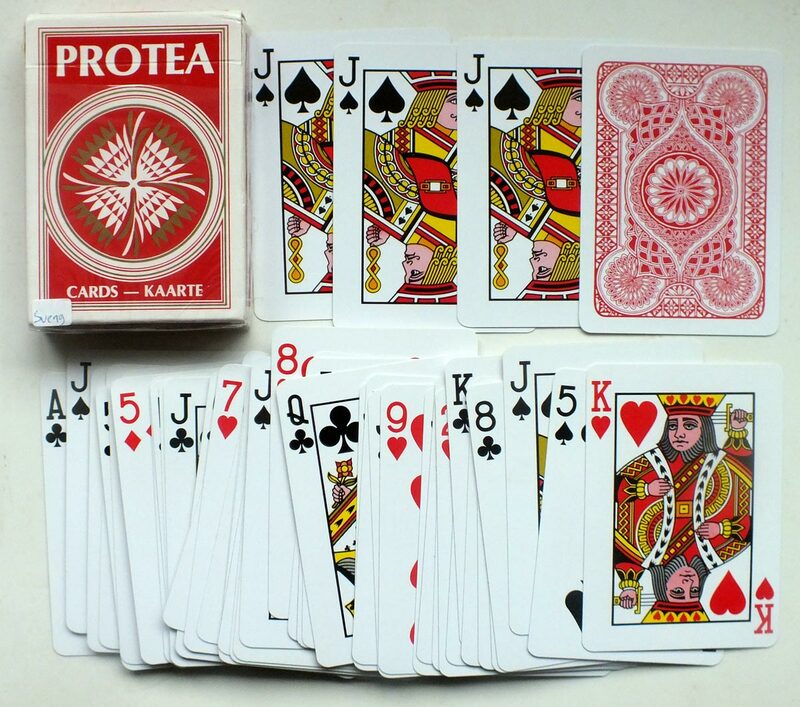 According to Keith Bennett (www.kbmagic.com) it "was not made as a trick pack by Alf Cooke, but would have been made into a trick pack by a magic dealer. 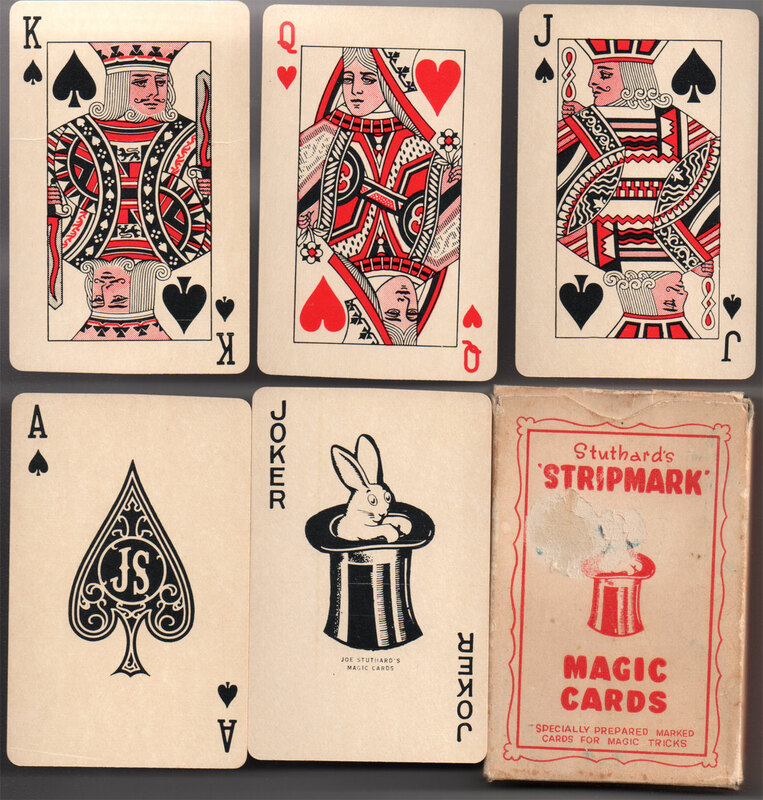 Alf Cooke did however supply cards in two fractionally different sizes at one point in order to facilitate the manufacture of trick packs; they also made cards with backs on both sides as well as faces on both sides and partly blank cards". See also: similar pack made by De la Rue, 1950s. The deck has 26 aces of spades and 26 normal cards. Look closely at the bottom of the Ace of Spades and note where it is trimmed. 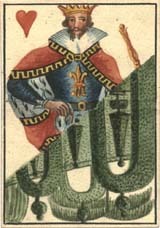 The deck contains 48 ordinary playing cards, 24 of which are the King of Clubs cut slightly shorter than the rest of the deck, specially for performing magic tricks, as in the example above. 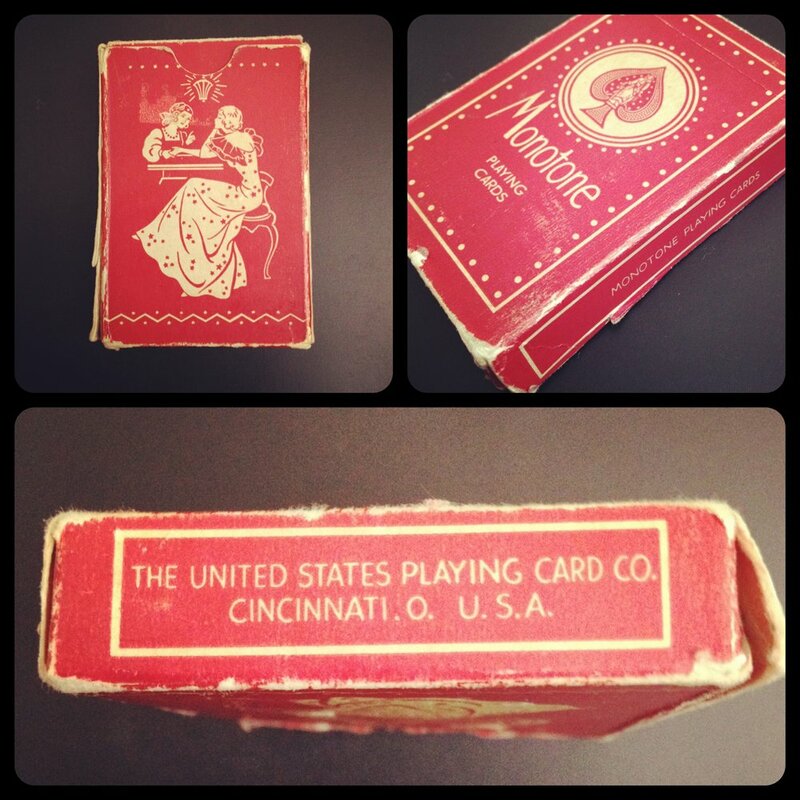 The box reads “The United States Playing Card Co. Cincinnati, O. U.S.A.” (Click box to zoom). 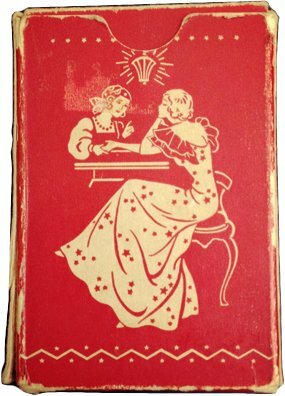 The image on the back of the box and the back of the cards is a scene with a fortune teller and a client in red/cream. The teller appears to be reading the client’s palm. Images by kind permission Rebecca Strang. 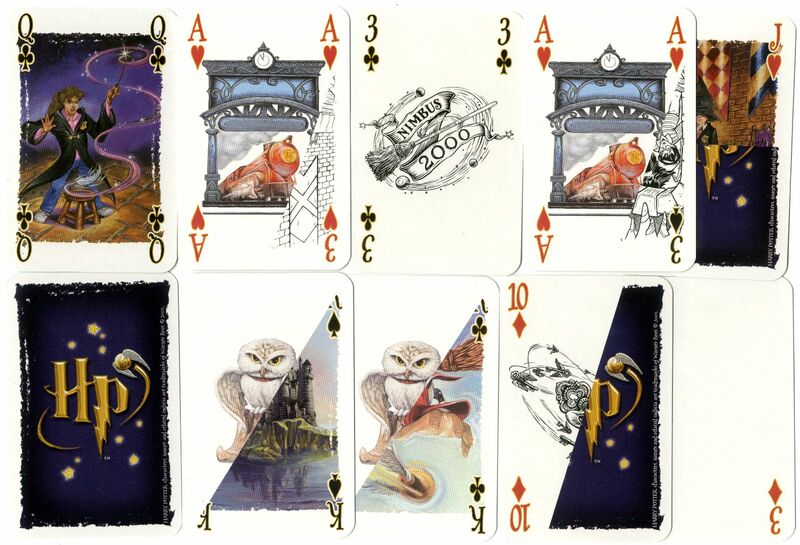 Above: 'Harry Potter' Playing Cards for Magic Tricks, made in Belgium by Carta Mundi. The set includes an instruction booklet describing 12 different card tricks which can be performed using these cards. All images (c) Warner Bros. 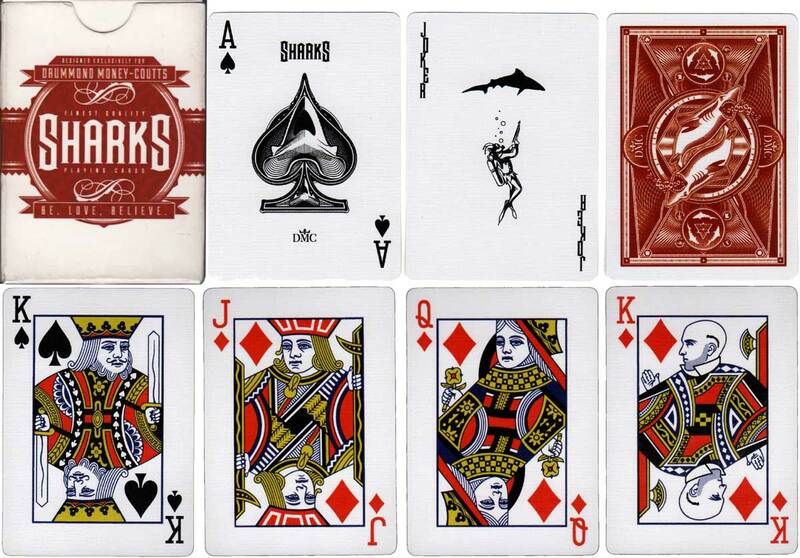 Sharks was a "limited edition" (short production run, available at very few outlets) magician's pack produced for DMC of England. The pack is of high quality linen finish card with two identical jokers, a blank faced card and a double-backed card presumably as extra props for card magic. The king of diamonds is also rather custom! Above: Sharks magic deck for Drummond Money-Coutts. Image courtesy Matt Probert. Enzo Koté is a magician from Venezuela with more than 35 years in the world of magic.